This is quick and easy recipe of Guajaratis. Mostly farsan like gatiya sev are always availablein gujarathi home. Maharashtrians make Shev bhaji the spicy version of sev sabzi . Sev tameta nu shaak is khatha meetha chatpata gujarathi sabzi which we can eat with chapattis or garma garam fulkis. I make sev tameta nu shaak in two ways one is with onion and one without onion i.e jain sev tameta nu shaak.In jain sev tameta nu shaak I just add hing tomatoes and ginger. 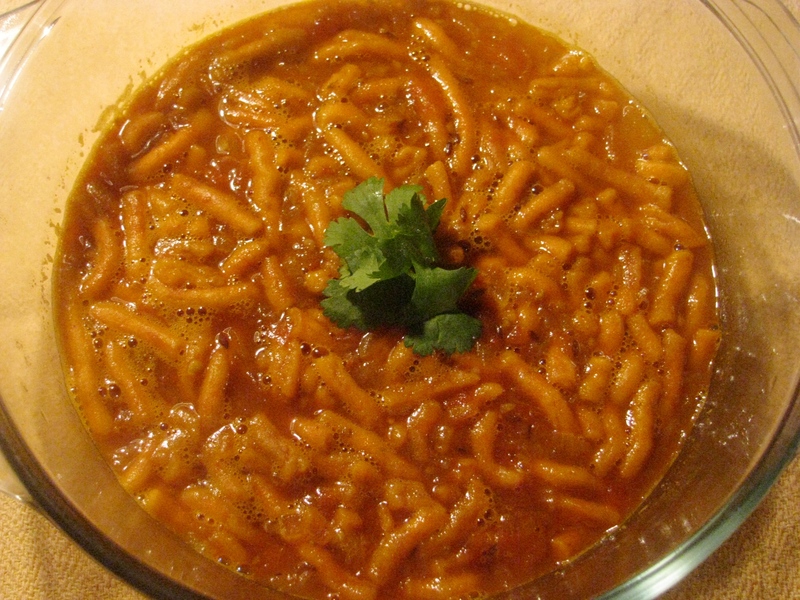 I have explain step by step recipe of both sev tameta nu shaak and jain sev tomato nu shaak. First of all we will blanch the tomatoes or remove the tomato skin. 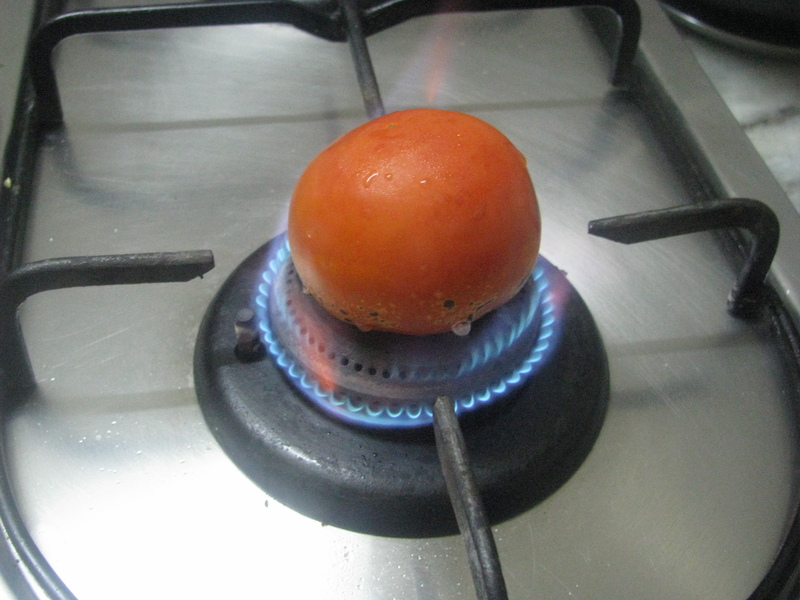 I generally blanch my tomato by roasting it directly on flames and then remove its skin. Finely chop these blanched tomatoes. Heat the oil in a pan and add jeera (cumin seeds)to it .then add garlic and onion and sauté it until onion becomes very soft . 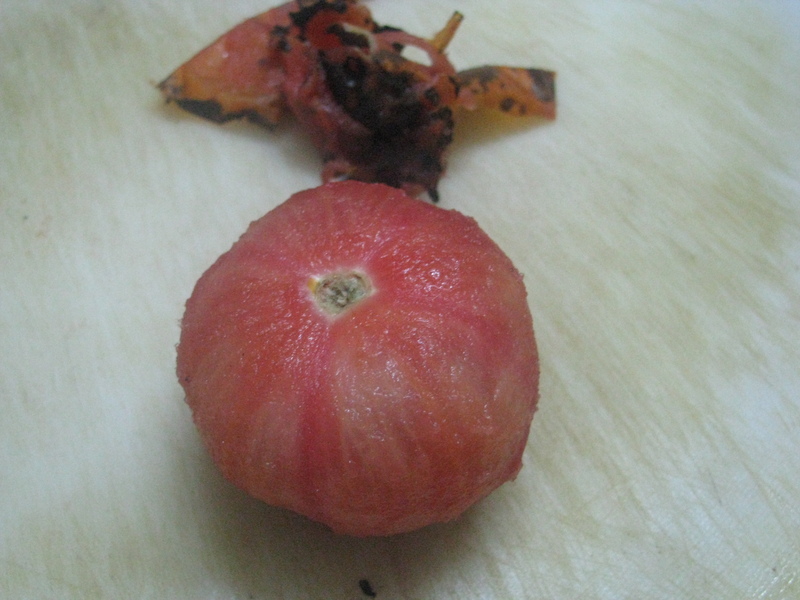 Sauté the tomato nicely and cook it until becomes very soft. Now add haldi, dhaniya powder, garam masala, red chilly in sautéed tomatoes. Mix it nicely and add 1cup of water to it. 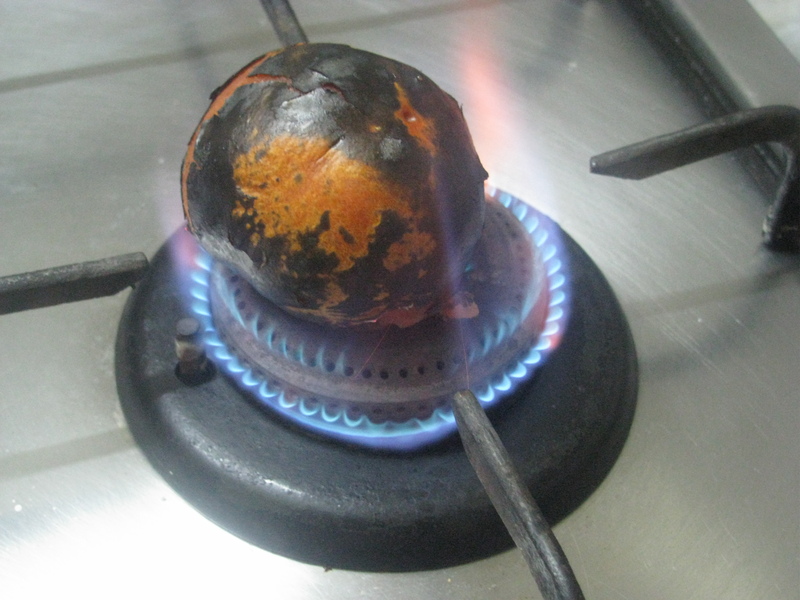 When the water starts boiling add salt sugar mix it and remove the pan from flame. Now add sev or ghatiya in it and serve this hot jain sev tameta nu shaak with roti or fulkis.